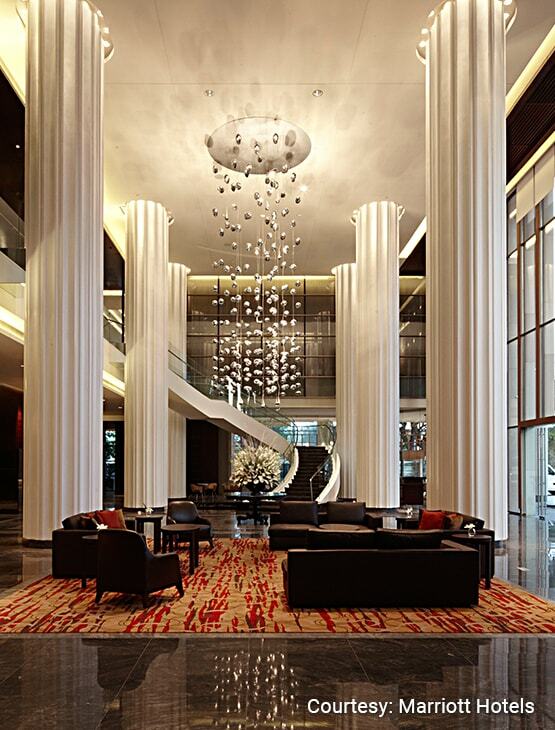 Located near the Pune Airport and the expressway, JW Marriott Pune is an ideal destination for travelers. Relax at Spice Kitchen, the international diner or feast on kebabs at Paasha. Shakahari is a delight for vegetarians-serving Pan Asian vegetarian fare and vegan wines. 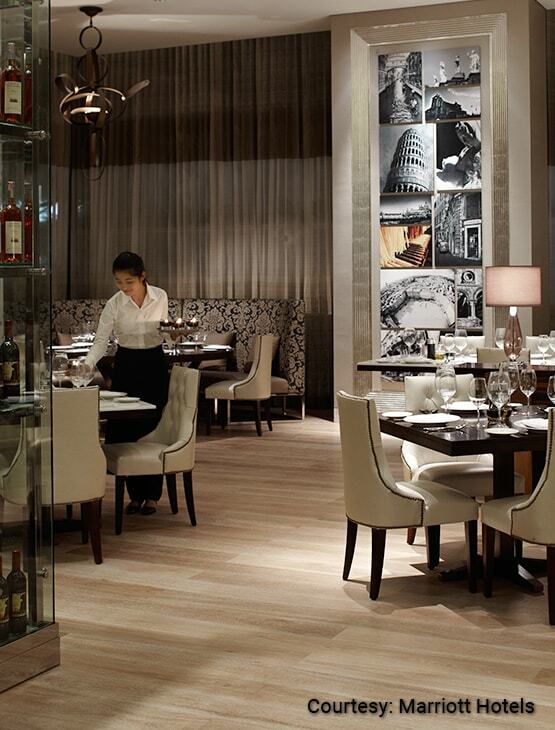 Alto Vino serves wood-fired pizzas, complemented by an extensive wine list. Also nibble on desserts at Pune Baking Company. 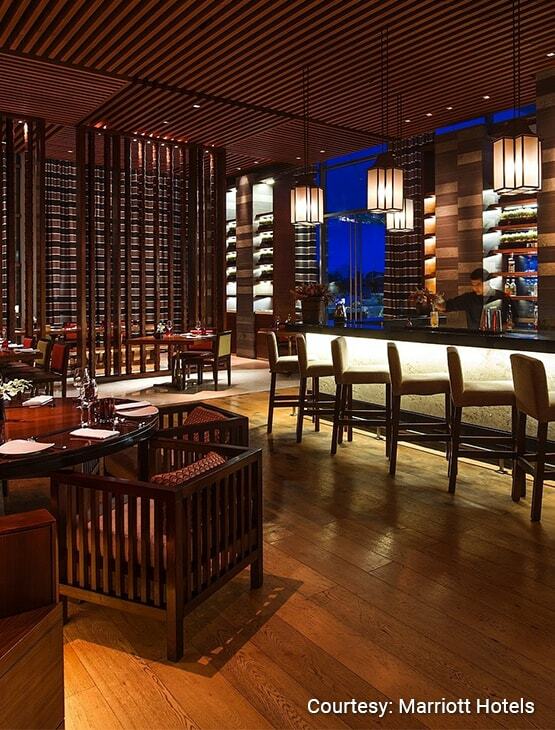 Visit Bar 101 for whiskey, cigars and hors d'oeuvres or Mi-A-Mi. 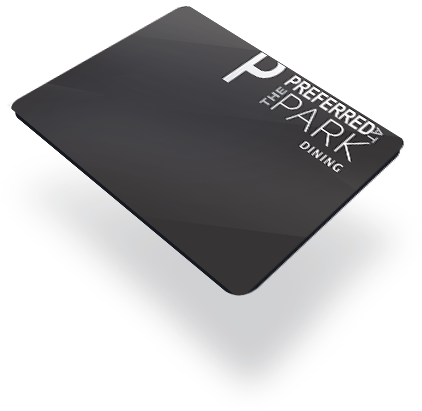 30% off on the food and beverage bill up to a maximum of twenty (20) guests on a table. The mentioned dining benefits on food and beverage can also be availed of at the Courtyard by Marriott Pune, Hinjewadi and at Marriott Suites Koregaon Park, Pune. 20% off at the Quan Spa from Monday to Friday between 11 am and 6 pm. 20% off at the Quan Spa from Monday to Friday between 11 am to 6 pm. One (1) certificate entitling the Bearer to buffet lunch for two (2) guests at Spice Kitchen or on set meals at Alto Vino over lunch from Monday to Friday. Three (3) certificates, each entitling the Bearer to a 50% off on the t food bill and a 30% off on the beverage bill for up to a maximum of ten (10) guests. One (1) certificate entitling the Bearer to a 20% off on a Private Lunch at Shakahari on set meals for a minimum of fifty (50) guests from Monday to Friday. Two (2) certificates entitling the Bearer to a 50% off on the Best Available Rate on Deluxe and Executive rooms on Saturday and Sunday. Two (2) certificates entitling the Bearer to a 50% off on the Best Available Rate on any category of rooms on Saturday and Sunday. Five (5) certificates entitling the Member to a 50% off on select therapy treatments at the Quan Spa (Swedish Massage, Aroma Bliss, Tension Relief or Indian Head Massage) from Monday to Thursday between 10 am to 4 pm. This benefit is valid for one (1) guest. Five (5) certificates entitling the Member to day use / access of the Swimming Pool area for a family of two (2) adults and two (2) children (below 12 years of age) from Monday to Thursday between 10 am to 5 pm. 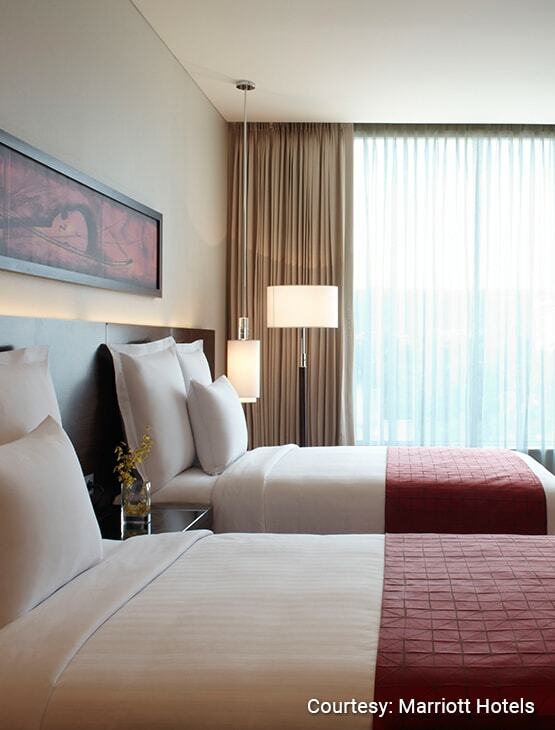 This benefit is not valid on public holidays or on any black-out dates as specified by the hotel. House rules apply. Five (5) certificates entitling the Member to a 50% off on select therapy treatments at the Spa from Monday to Friday. This benefit is valid for one (1) guest. 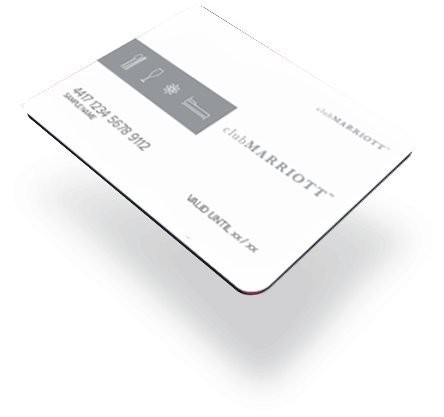 The upgraded membership brings to you an additional benefit certificate offering one room night stay at the JW Marriott Hotel Pune. 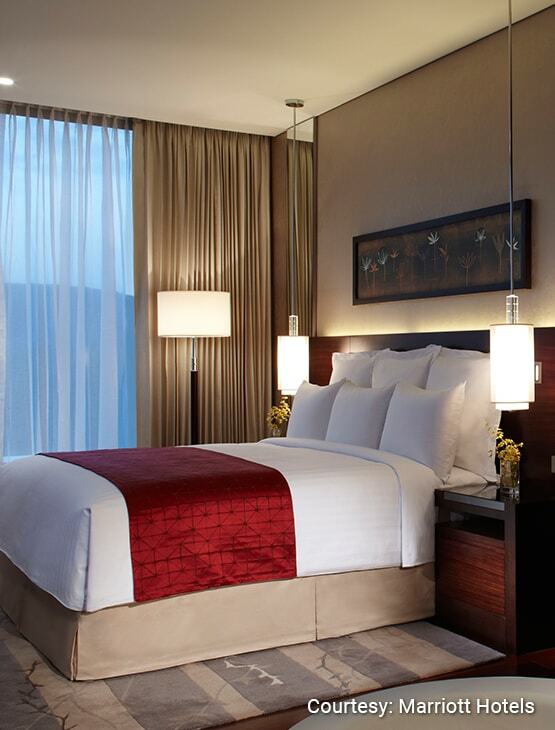 The upgraded membership brings to you an additional benefit certificate offering one room night stay in an Executive Suite at the JW Marriott Hotel Pune.